If you are into slots that have classic look and feel than LotsALoot 3 Reel from Microgaming is the right game for you. This game cannot be any simple when it comes to the symbol set. We have 7s, BARs and one distinguishing symbol which is the game`s logo. At first look this may seem like a classic 3 reels slot, but it comes with a surprise. Namely if you play your cards right you can win a progressive jackpot. You did not expect that, we assume, when you first saw the game. So this can be a lesson to all of you that everything deserves a chance, just like this game. 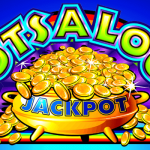 The most appealing feature in LotsALoot 3 Reel game is the progressive jackpot. Since this is a classic slot we do not have overcomplicated symbols and features. We only have the game logo which acts as a wild in this game and it substitutes for all the other symbols to create a winning line. But, that is not all that the wild can do. If you manage to land 3 wilds on the 5th line you will receive the maximum jackpot in this game. There is always a catch when it comes to these slots. Almost always you need to play with maximum bet in order to be eligible for the big prize. LotsALoot 3 Reel is the perfect addition to the Microgaming portfolio. The game offers quite an interesting game play. The anticipation that this game offers is immense. Waiting for the jackpot to strike can be a very life changing experience. And to be honest slots are fun, but sometimes or most of the times we are in for the money. 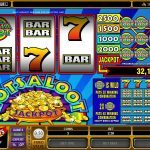 Do you like progressive jackpots? you should consider playing King Cashalot a 5 reel slot by MicroGaming.